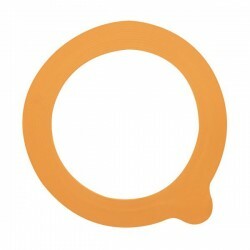 Fantastic quality product. Easy to use and effective. I just used the fermenting crock and dunking weight to make a massive batch of sauerkraut and the end result was perfect. Awesome size and strong quality made, the wire is heavy duty and does the job very well. 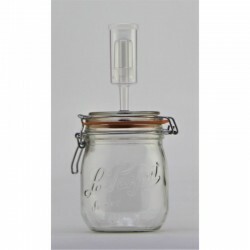 Preserve your food the natural way with this 5 litre Italian made Fermenting Jar. Fermenting food is the oldest form of preserving with the technique being in use for over 4000 years! Yes you can make Pickles, Kimchi and Sauerkraut, and that is just the start. Ferment all your veggies and fruits into delicious foods which are much better for your health! Fido reusable Glass Jars are of the highest quality and contain NO BPA! (Bisphenol A). 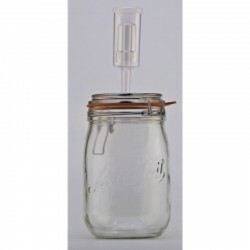 The Fido fermenting valve effectively provides an airlock, allowing gases to vent naturally from your jar without your intervention, which can introduce harmful yeasts or excessive oxygen to the fermenting product. You will receive the jar with plastic airlock, a rubber seal, and the 5 litre jar. Jars can also be fitted with taps which are useful for fermenting liquids: taps are either plastic or high quality stainless steel. Please note that the lid section only of the jar is not available for individual purchase. 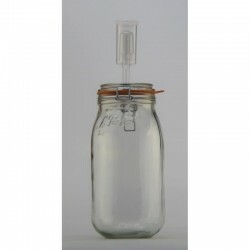 For storage purposes you can either remove the airlock and plug the hole or place the contents into a standard storage jar. 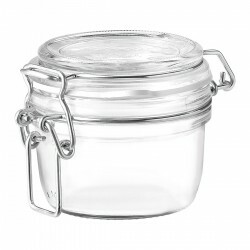 Due to the shape of this jar, it is difficult to use a dunking weight with this product because only the small weck dunking weight will fit through the lid and this leaves space around the sides. Some people use cabbage leaves to weigh down their fermented products or even flexible food grade products such as silicone sheets. These can be held in place with the small dunking weight. Clip down the lid with the wire bail. 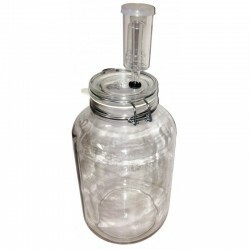 Once the product is fermented, you can store it in the fridge with the air lock in situ, or remove the airlock and transfer the contents to another jar with an airtight lid. Unfortunately separate storage lids are not available.